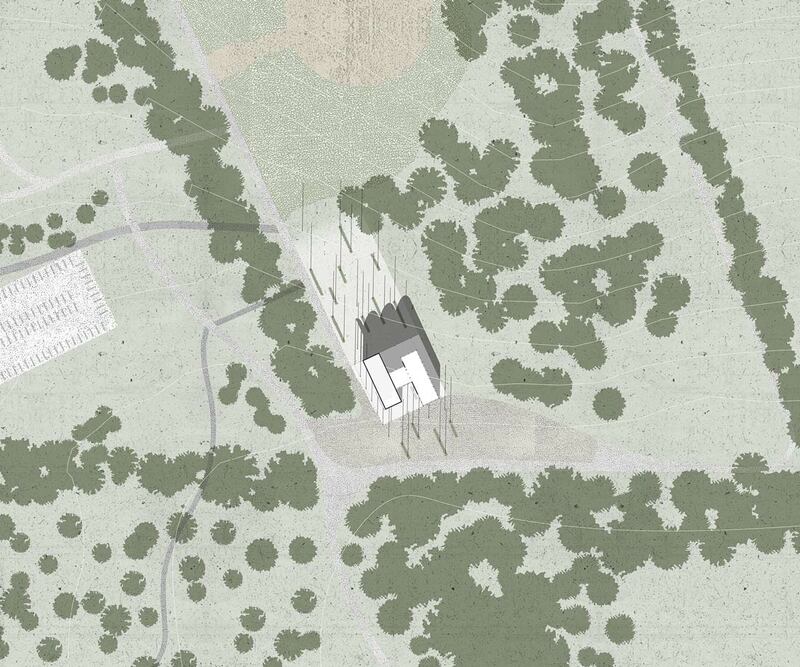 Open competition entry for a new visitors’ centre at the centre of a large new area of woodland in Surrey, one of four new woodlands in the home nations established commemorate the centenary of World War One. The approx. 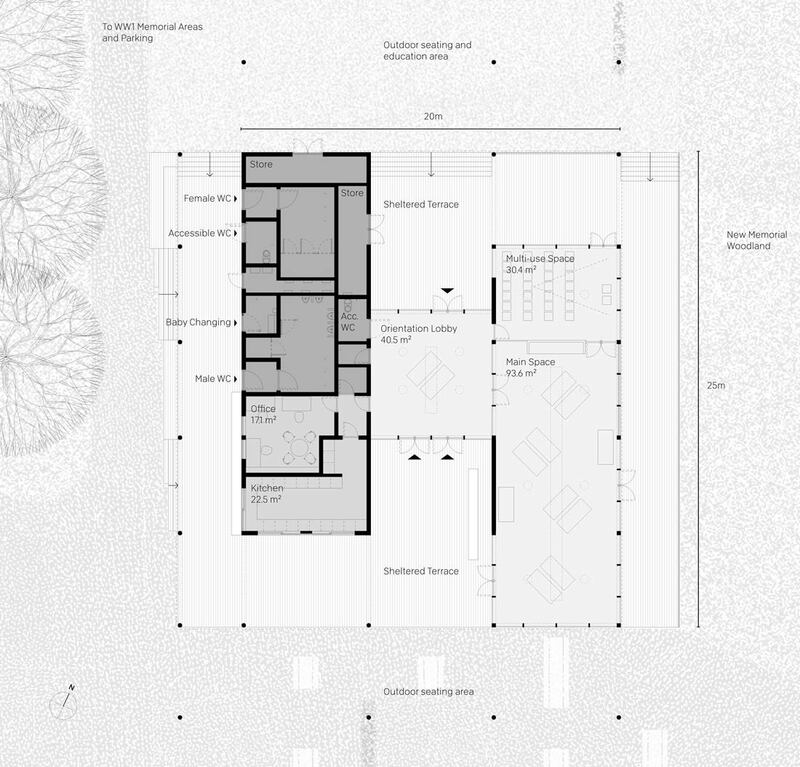 300m² centre acts as the primary entry point for use of the woodland and to the commemorative areas, and contains a public exhibition and event space, small cafe, an office, and WCs. 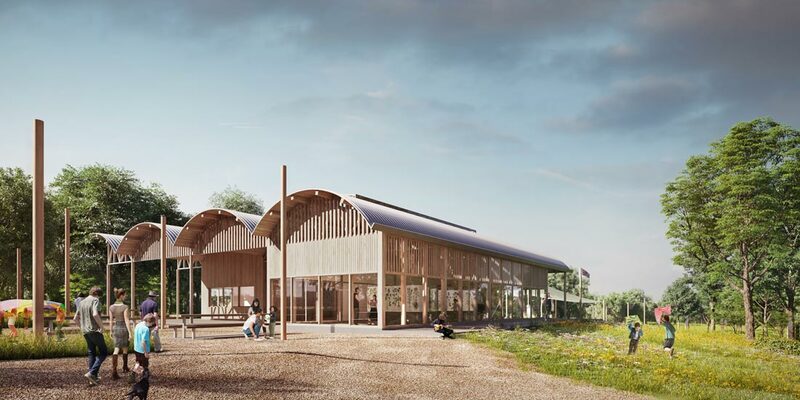 The proposal is based on the basic curved roof structures of ‘Dutch barns’ found in the surrounding agricultural areas, and recalls also the Nissen huts widely used as shelters and field hospitals during World War One. 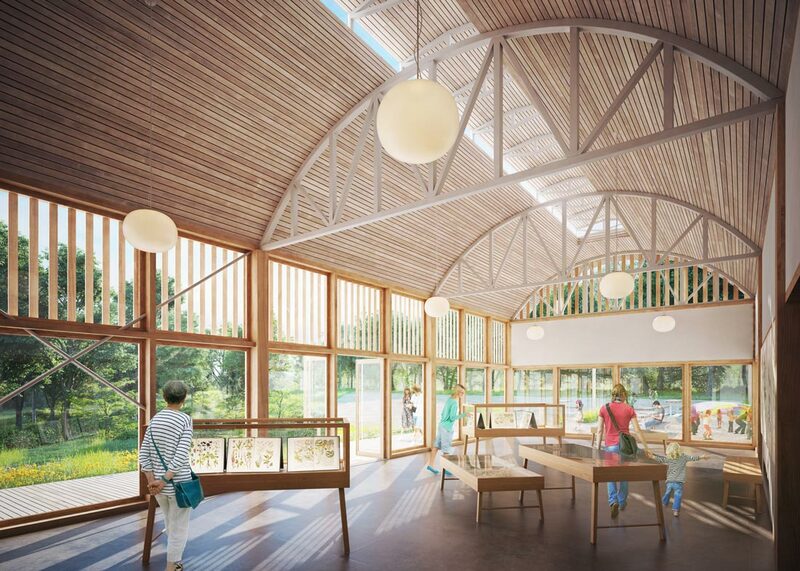 Three of these basic curved-roof structures are arranged in parallel to contain the functional facilities close to the parking areas, and the exhibition spaces are closest to the woodland with large areas of glazing and tall ceilings showing exposed timber trusses. The central bay contains the orientation lobby, and the roof extends accross the widest building footprint even where there is no internal space, to provide sheltered external space for the cafe and out-of-hours visitors. To the south a wide area of picnic tables is proposed, among an array of tall timber posts which can support fabric canopies and commemorative flags. Of over 250 entries, this proposal was selected for the long-list of the top 20.